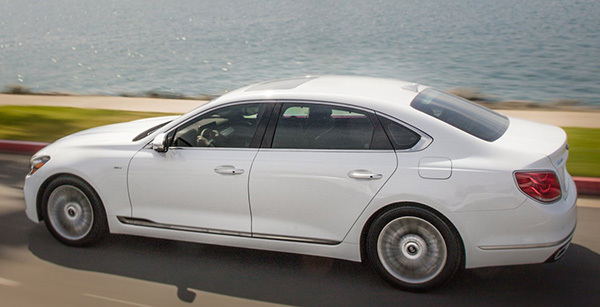 It is really too bad Kia chose to show the car in just white for the official pictures. Otherwise, the new car does look pretty imposing. And super luxurious inside. It is powered by a 3.3 Liter V6 Turbo with 365HP and an 8 speed auto. The current model starts at about $50 000. It goes on sale in the US an the fall. A Buick LaCrosse looks much better. This looks rather amateurish. For the money, it's laughable. It is a poorly executed ripoff of a Mercedes S-Class. What happened Kia? Peter Schreyer has done some very original and sharp designs. This looks like it was designed by their bean counters. 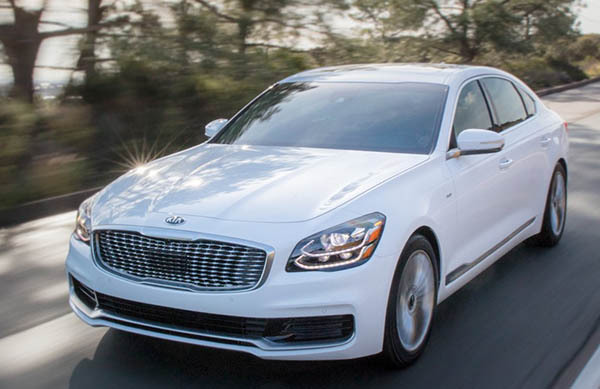 I would take a new Buick LaCrosse any day and pass up a Kia anything everyday. Another sales flop. Waste of time! Learn from your cousin - Hyundai (Create a luxury brand)!!! Else no one will spend over $50K on KIA! I think it looks good, nothing bad about it really. 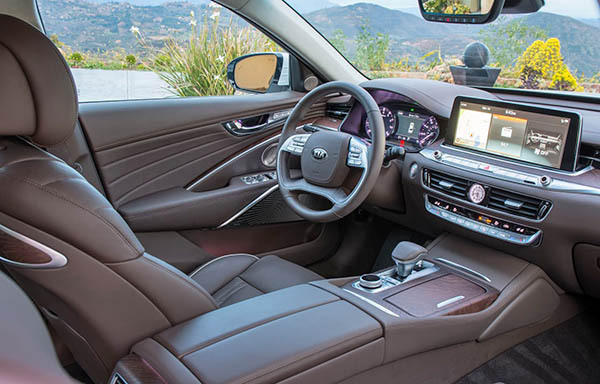 The interior does look great and high quality. Good for kia! I will take it for test drive when it comes out! Just the headlamps with double vision alone is annoying. Don’t waste salespeople’s time test driving it. You aren’t buying one. Got to be one of the ugliest cars made to date. 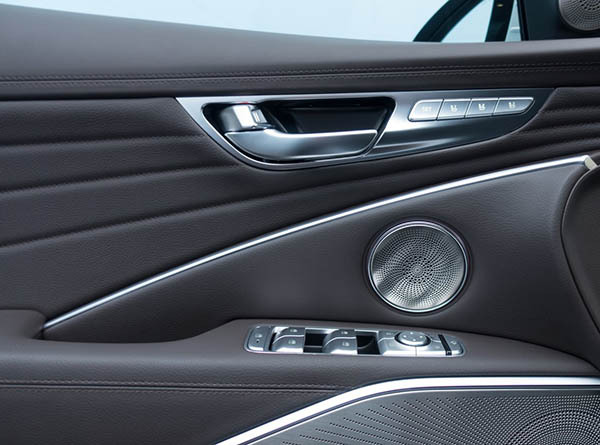 I like the side view of the K900. Have to look at it in person. At $50K and another $5K in options. I think it a bargain. Have to drive it and see how it handles for a 205" sedan. 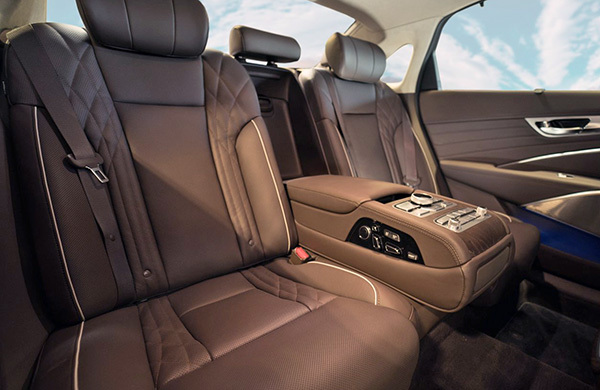 I want to take a ride and/or nap in those amazing rear seats. No, really, I do. Nicely executed. Can't wait to try them out. You will not try one out. You will not waste the salespersons time and put mileage on it. You will not use our gas. I remember that said in the 1990s about a Japanese luxury brand called Lexus! Even with Lexus current ugly designs, Lexus owners still buy another Lexus! K900 sells well in Korea. It just a matter of time that it becomes one of the luxury competitor kurt like Lexus is now!